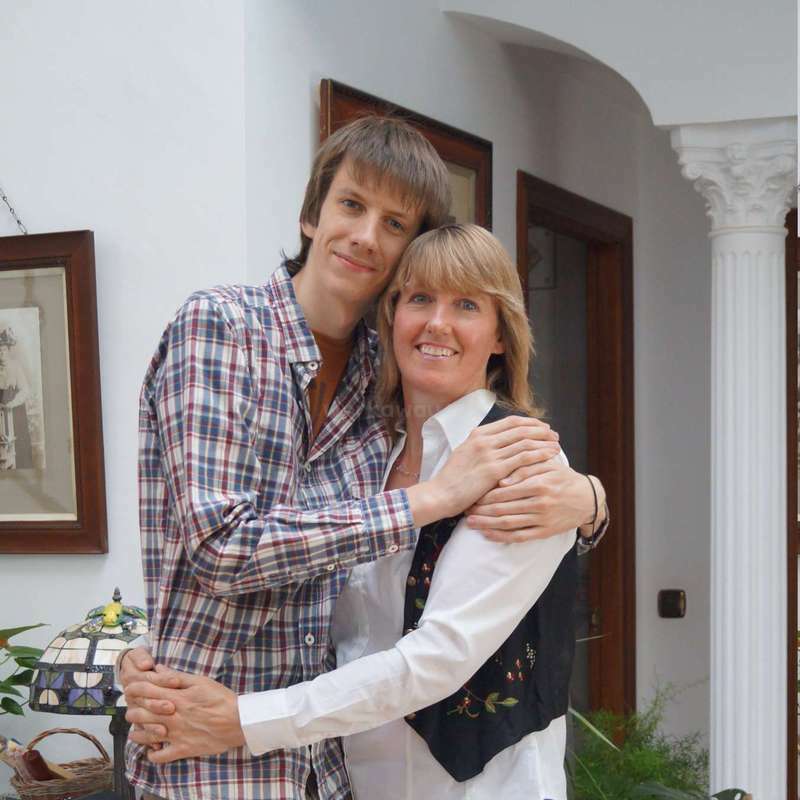 We are a English family of two and have been living and working here in the village of Algodonales for over 17 years. We run an accommodation business here. We have 2 Spanish horses, a cat and a small rescue friendly dog called "Ellie". For 2019 at present we only have room for one person to stay with us. Sorry no couples. We will be mainly gardening and painting for the new few weeks. PLEASE read the entire description, as it will answer most questions you may have, and it will save us both time. Please feel free to ask any questions about places throughout the year. To give you a better idea as to what we are like as a family please take the time to read our profile and reviews thoroughly before applying to us. Our villa is on the edge of Algodonales. 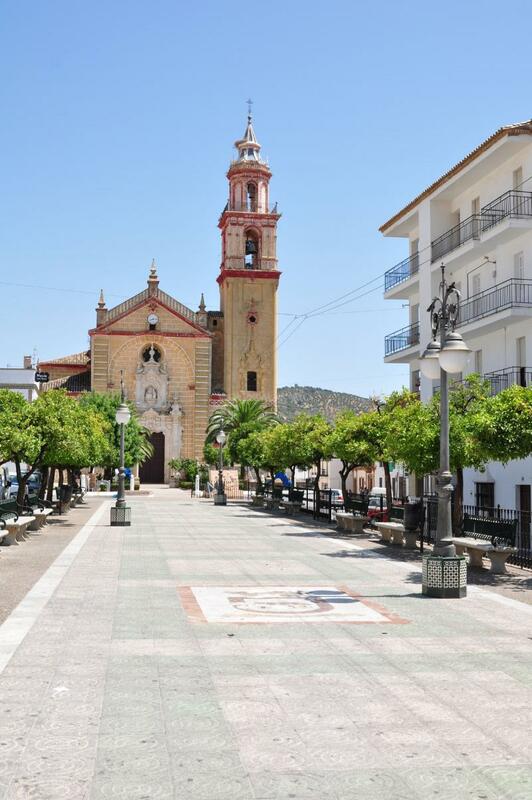 It is one of the famous white villages "pueblo blanco" of Andalucia Spain.We are in a great location as a base to improve and practice your Spanish as the village is just a 3 minute walk away. My son speaks fluent Spanish. We tend to Speak English in the house but if you wish to, my son will speak with you in Spanish to help you practice your conversation skills. Please only apply to come to us if you are over the age of 22 years old (Under 22 welcome with good references) and do not mind physically work & don't mind getting your hands dirty :-) and also if you can help us with the following tasks. We need help with painting, gardening, vegetable plot and land clearing. *️️️️️️️️️️️️️️️️️️️️️️️️️️️️️️️️️️️️️️️️️️️️️️️️️️️️️️️️️️️️A great photographer/filmmaker/blogger to help us capture the essence of what it's like here and build a media bank to support our marketing campaigns. *️️️️️️️️️️️️️️️️️️️️️️️️️️️️️️️️️️️️️️️️️️️️️️️️️️️️️️️️️️️️Garden and Landscape designer including permaculture, in sympathy with Mediterranean climate & planting. Being situated in a beautiful region of Andalucia we are Just a 2 hour direct bus ride from Malaga. When writing to us please tell us a little about yourself if not in your profile: What have you done since leaving school? Where you are from? Any skills? Education? Hobbies? even if unrelated to the type of work we are doing. Our helpers are guests in our home and we like to know about them! We welcome long and short term visitors with a sense of humor and a strong work ethic who would like to fit into family life. Please take the time to read our workaway references. A Big thank- you to all our previous helpers for their good work and great company. Many volunteers have passed through our door over the years and we have really enjoyed meeting people from just about all over the world. We love to hear stories of their lives back home and the travels if any. We laugh as we exchange or life experiences together. You will be helping out around 5 hours a day. we do ask that those hours really count and are considered a real job, we start around 8.30-9am in the morning. Monday to Friday. Helpers needed for the following projects. We are thinking of building a small chicken coupe, so please anyone who has experience with the construction of one would be most appreciated. A great photographer/filmmaker/blogger to help us capture the essence of what it's like here and build a media bank to support our marketing campaigns. Garden and Landscape designer including permaculture, in sympathy with Mediterranean climate & planting. Please only apply if you can help with any of the above. During your stay in the warmer months with us you are welcome to use our pool after helping out and during the weekends.You will have your own bedroom and bathroom while you are with us. Free WiFi is available to use, but please bring your own laptop or devices. As well as the 5 hours help a day, we would also ask you to kindly to give a hand with preparation of meals and also the Washing up afterwards. Your contribution would be very much appreciated and in return for you putting in 100% we will do our best to make you feel at home and give you an experience to treasure. We expect you to be responsible, think on your feet, and be able to integrate and welcome any challenges. Please take the time to read our references below. Accommodation: Own private bedroom in our super villa. Meals provided Monday - Friday; breakfast, sandwich at lunch time and a home cooked evening meal are all provided during your stay here. Hope you enjoy good home cooked food as its one of my passions cooking. If you have any special dietary requirements they must be declared when you apply to us. Sorry no vegans. We would also expect you to help with the domestic chores, such as helping tidying up after mealtimes, cleanliness of your room and bathroom, taking rubbish to the bins, the usual day to day chores. We don't expect to clean up after workaways. We expect workaways to strip their beds on the last day.Clean the bedroom and bathroom thoroughly before departure. During your stay in the warmer months (after May) you are welcome to use our pool after work and during the weekends. Our home here is just a 4 minutes walk from the bus station in Algodonales. The weekends and after work time are all free days for you to explore the wonderful area. We are super situated for walking,horse riding, and sight seeing. Algodonales Buses run to Seville, Jerez, Ronda and the Pueblo blancos. The mountains behind us are world renowned for their paragliding take offs. If you fancy giving it a try we can arrange for you to have a tandem flight and experience flying with the vultures. If we are going out and if there is room in our car, we will often offer you a lift. Our village is a great location as a place to improve and practice your Spanish. Free WiFi is available to use, however do please bring your own computer or devices. There is also WiFi in all the local cafes and bars around the village. Without wanting to state the obvious, Helpers are responsible for treating everyone at the property with respect, showing reasonable care and courtesy in and about the property, as well as for following the host's rules of conduct and security. Please note that although we are great animal lovers, we are sorry but we can't take any volunteers who are traveling with their pets and would like to bring them with them. Also when applying please let us know your arrival and departure dates and if you are flexible with these, and a Skype/ tel. number, whatsApp if you have these. A big thank you to all our previous volunteers for all their help. Your hosts Warren and Julie. Zahara lake 10 mins away from us. view of the garden and surrounding area. Part of our garden and lawn. The village of Algodonales taken from the mountain behind. Well earned tea break for the olive pickers. Cloudy, one of our trusty mares. cleaning the trunk of the Washington palm. The church of Santa Anna and the plaza of Algodonales. Patio of light in the villa. Agata stayed with us for a just under a week when I had a appointment to attend in the UK. For 6 days I left her in charge of the animals at short notice. I returned to find that all was in very good order she had looked after everything perfectly. She also did a lot of gardening in my absence. She looked after the horses and kept the manarge very… read more clean. I was really greatful for her help at such short notice. Highly recommended. She is good company also. Brendan stayed with us for a week and during that time he made a lot of progress with the gardening. We found him to be a likeable easy going person who isn't afraid of hard work. He helped with the feeding of the horses. We shared some great stories. Good luck with your future travels. Miranda is a vey willing worker very organised and pratical in her approach to a range of tasks given.She was a great help weeding and confident with ground work, Shopping, preparing Lunch, Cleaning, and of course… read more walking Ellie the dog. During her stay I left her in full charge whilst I went to the UK for a week and returned to a lovely clean home happy horses and a pizza for supper, nice touch. I would recommend Miranda to any of you who need some help you can can confidently put full trust in her. My stay with Julie and Warren was really an incredible experience. Their house in Algodonales is absolutely beautiful and the town has everything you need. The work I got to do was never too hard to do but will definitely give you an arm workout. Whenever I was a little confused on what I needed to do or how to do it, Julie was always ready to… read more help me and give me tips to make it as easy as possible to get the job done. Working with the horses and going on walks with Ellie was also a lot of fun. Throughout the month I was there I was able to visit Ronda and Seville which are both a must see on your weekends off. I also had more than enough time to go into town and relax everyday after working but thanks to all the good chats and laughs with Julie, I loved staying in. The food was amazing! I felt right at home with all the great meals and even better company every evening. I will miss here and definitely would love to go back sometime soon. Thank you so much for everything!! We had a fantastic experience with Erin. She's only 18 but I found her to be very mature for her age. She worked well in the garden and also in the kitchen. She was always happy to help and could turn her hand to anything. Welcome back anytime here. Good luck with future travel Erin. This was my very first work-away experience and it did not disappoint. I had the best time staying with Julie and Warren and I hope I get to see them again very soon. Not only were they super welcoming from the moment I stepped through the door, but also incredibly helpful and such a laugh during the 3 weeks I stayed there. The work wasn't hard… read more and I had the freedom to go visiting the rest of the south of Spain on my days offs and when I had finished work. I got to see Seville, Ronda and the small village of Algodonales which was super fun. I had many opportunities to practice Spanish (thanks to Warren and Beatrice) even though they mainly spoke English around the house. Julie was always a big help whenever I didn't understand something. She also taught me many things that I never would have learnt without her including sharing her love of cooking which I'm definitely going to do more of at home. I loved spending the evenings relaxing in front of the TV with a cup of tea because it made me feel even more at home and relaxed. I also loved our daily chats and gossip which caused a lot of laughter. I've really enjoyed the short time I spent with the other workaway-er Mirandè at the end of my trip too. I can't express how much I loved staying there and I hope we all continue to stay in touch in the future. Thank you so much, Julie and Warren!!! 5 stars is just not enough. Asmaa, is a lovely person who stayed with us for nearly three weeks. She is very kind--hearted and generous. This extends to her attitude to work and she was an asset to my all of our projects She was keen to get involved and to learn new skills from gardening,cooking to painting. She has had a lot of past work experience and I would recommend her… read more to any potential hosts. I hope she will come back and visit us again one day. Helen was here helping us for 3 weeks at our casa and supported our project of getting ready for summer very well. She worked really hard, was deligent and always prepared to use her skills. She was very good with the painting of our railings. Helen worked hard in helping with weeding in the garden and what ever was needed here. Julie and Warren are top quality people! Very hospitable and welcoming; they really put forth the extra effort to make the house into a home for guests and volunteers. They fed me very well and I felt so welcomed and at home with them. Algodonales is an incredibly lovely town, but spending time in their home made it even more wonderful. Julie… read more works wonders in the kitchen, and she is a really great person to talk with. She is a hard worker and expects the same from her volunteers, but she is very helpful and provides positive feedback. Julie was always thanking me for what hard work I did, which I greatly appreciated because she notices the effort that you put in. Additionally, she gave adequate breaks and would ask me to pull weeds in the shade, etc, so the work was never too unbearable. Considerate people who practice kindness! I loved spending time volunteering for Julie and Warren; thank you for everything! We had a super time with Hannah here.She stayed for two weeks and from the moment she arrived got stuck into work straight away. She's great at gardening, and took to digging as a natural. Hannah worked very hard and transformed lots of big areas in the garden for us beautifully .We had some good evenings all out together in the local tapas bars.… read more She is also very good in the kitchen. Hannah is lovely company too. If you get the chance to host her please do as you won't be disappointed. Many thanks again for the help you gave us. Julie and Warren are great hosts, very friendly and they have good sense of humour. Julie is a excellent cook, and she made nutritious food which i think was great. Algodonales and the surrounding area are truly a beautiful place. 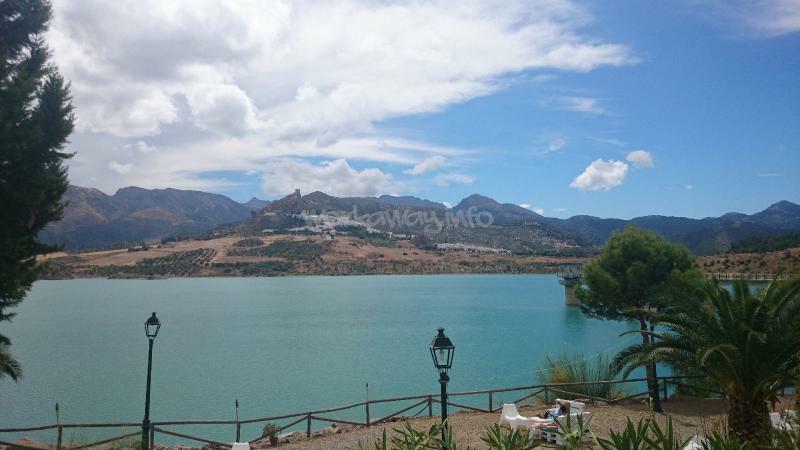 And i would recommend anyone traveling to Andalucia that it is a place you should visit, even if you don't get the… read more chance to stay at Julie and Warrens place :). I stayed for a total of 3 weeks, and i did bacis household maintenance. The only thing that was bad was the weather, it basically rained for 3 weeks. But i would go back to stay even if it would rain agian. I wish you all the best Julie and Warren and take care. Jo stayed with us initially for two weeks and made a huge impact on our place. We got on so well with him that we invited him back for another week here. Even though the weather was terrible he always smiled and just got on with things. Some of the jobs him tackled whilst being here were painting, clearing land fixing up stuff and lots of weeding,… read more Always up on time and great company. Welcome back any time Jo. It gives me great pleasure to write a review for Isabelle. She stayed with us for 2 weeks and was a fantastic asset here. She helped very hard during her 2 weeks and we all got along very well. During her stay she cleaned, gardenned, painted,translated in to German For us and mucked out the two horses everyday. She was great around my horses.… read more Unforfortunaly the weather was terrible most of the time so we didn't get to have a ride out. She has a great attitude and calm manner around horses and we highly recommend her as a volunteer. Welcome back any time. We had a great time with Donata. She was super fun and an amazing helper. Up and ready for the day with a smile. We ate some great food together and had lots of fun. She did a lot of weeding, cleaning and general help and we highly recommend her as a volunteer. Hope we see her another time. I had a great time with Julie and Warren. I spent 2 weeks in this beautiful house! They are really friendly, nice people and I had great feeling with Julie in the very first moment we spoke. She is really funny with a great sense of humor, we had very great conversations and her food is just lovely and very healthy! If you want to spend your time… read more in a stunning place, sorrounded by nature and with positive vibes, this is the place for you. The job was not hard at all, I spent most of the time doing gardening like weeding and cutting, and I spent some time with horses too. I loved it. Thank you for your help. It was a short visit to us as you had to leave early, but in a week you contribute greatly. Moved wood, cleaned up,weeded and some painting. I also enjoyed your company. Good luck with your course in France. I was only able to spend one week at Julie and Warren's due to a change of organization. I shared this week with another workaway, very nice too. Julie has a sense of English humour, very funny, it's easy to talk with her. The help at home was regularly weeding (it was seasonal) and we were able to paint and burn wood. The weather wasn't too good… read more but that didn't stop me from finding the place superb. We shared dinner at the restaurant the last night, which is nice. Thank you for your welcome Julie. Where to being... This was my first workaway. Julie and Warren set the bar pretty high! I walked into a loving, positive, beautiful home. Julie is kind, she has a great sense of humor, she is generous. Every meal she made was DELICIOUS! The work I did around the house and in the garden was so enjoyable. Warren is also a kind soul, very polite… read more and intelligent. His knowledge of computers and everything alike is astounding! I truly had the best time at their home in Algodonales. The town is a 5 minute walk from their home. Restaurants, bars, pastry shops. It's a beautiful place to wander. Julie and Warren's home is wonderful. It's inviting, spacious, you can always rely on a fire if the weather is cold! I would stay with Julie and Warren again in a heartbeat! I hope I have the opportunity to go back because it was absolutely lovely and peaceful. I feel like part of the family. Love this place, love them, they make it so special. Highly recommend, especially if you're ready to be open, ready to give some hours of diligent work. Ideal place if you want to be in the lives of a wonderful family. We have just had the pleasure of hosting Ali for 2 weeks. She is a fantastic gardener who worked meticulously through all tasks that were given to her. She is also a talented cook. Her scones were amazing! Always happy to help out in the kitchen she left my dishes and pans spotless. We found Ali to be super company,we had many interesting… read more conversations. During her stay with us I never once had to ask, she just gets on with it any task that was requested and completed it perfectly.She often did far more than ask of her. Ali has truely left her mark on my gardens and in my heart. We highly recommend Ali and if you do get the chance to host her please do as I can assure that you won't be disappointed. I had such a lovely stay with Julie and Warren. 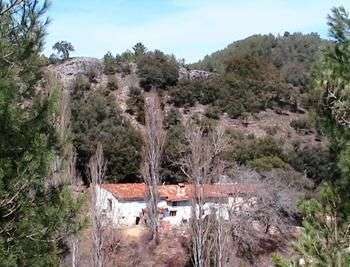 Their house is ideally situated between on the edge of Algodonales. You have all the conveniences of being in a town (the central plaza is always buzzing) and the undisturbed views of the countryside. Julie takes great care of you, feeding you very well 3 meals a day during the week - plus a tea… read more break:) She is very patient, clear about what needs doing, and never expects you to work past your allotted time - then you are free to relax, enjoy the country view and use the pool. Warren is super helpful if you have a Spanish translation issue or a tech problem. The third member of the family is the sweetest dog you can imagine. It was a great first workaway experience for me. I feel really lucky to have found such caring host! Margery came here to help in the house in October 2017 for 10 days. The experience with Margery working here was very positive because she was very dedicated to give her best in what ever she did.From gardening, cooking or painting the railings every task was done precisely and carefully. I enjoyed my yoga mornings with her, she is an excellent… read more teacher.Thanks Margery for your precious help and hope to see you again sometime. Irene stay for 10 days at our villa and helped us out with lots of things. She is a hard worker and not afraid to get her hands dirty and scratched up.Irene worked really hard with administration during her stay also. She is very good on the phone and her people skills are great. She was pretty savvy around my horses and it was great riding out… read more with her one afternoon. We talked about all kinds of things. Loved having her around. Hope to see you again Irene. Piotre stayed with us for three weeks in September 2017.During his stay here he spent alot of time painting interior and exterior walls, also the balcony columns outside the veranda.Also Piotre made an excellent job of weeding the gardens. He is both trustworthy and hard working and I would recommend him to anyone. I spent 3 weeks with Julie and Warren. It was my first workaway experience and it was amazing! If you’re looking for a place where you can really feel at home, this is the place to choose. Both of them make you feel welcome from the very start. They’re friendly, fun and helpful. We ate something new pretty much every day and it was all delicious.… read more Julie is a great cook… and a chatterbox ;) The work wasn’t too hard and Julie was always there to answer questions. The room I was staying in was superb, the whole house is really nice and Julie takes good care of it. The region is also beautiful. Thank you Julie and Warren for hosting me for 3 weeks in July. I had an amazing first workaway experience and you have really set the bar high for my next. You gave me a variety of different tasks and made sure I was working in the shade as it was very hot! I really enjoyed working in your beautiful garden and loved learning about all of your… read more plants and fruit trees and it's lovely that you are so passionate about your garden and business. You have been very kind and generous to me and went above and beyond for making me feel welcome and part of your family. You both have a wonderful sense of humour and I will miss spending time with you. Again, thank you for having me, making me work hard and giving me a home away from home. Many thanks Marisa for all of the laughs, adventures and memories! sorry for my late feedback but better now than never :) Thankyou for the wonderful two weeks I spent here! I wish you all the best and hope we will see us again in live! I stayed with Julie and Warren for 2 weeks. The place is beautiful. The landscape looking out of the windows and the balcony are spectacular. The garden has lot of orange trees, and the smell of the orange blossoms is intoxicating. The premises are huge and Julie was very kind to offer me a good big bedroom. Julie is a very friendly person and was… read more open to share some of her life stories with me, so I felt accepted. There is surely work needed here, and even though it is hard work, I felt useful and satisfied. Thank you for having me over and sharing your home, your meals and your stories with me. We enjoyed having Minal stay with us. She stayed for two weeks the time flew during her visit. Minal is a very communicative, very adaptable and yet very independent person. She took very good initiatives to improve the place specially in the garden area, she also gave me very good advise. We were extremely busy with guests during her visit. She… read more gave help when ever asked. and was happy to just get things done. I would definitly recommand Minal for her qualities as a person and also her work effort. Minal is a person with clear ideas. Daria stayed with us for 2 weeks She is a pleasant, helpful, intelligent, and easy to get on kind of person and a good worker. Whilst she stayed with us she got me into a exercise routine that I'm happy with. She is very good with animals also. In the afternoons she climbed the mountain above our house so she has ample enthusiasm and initiative.… read more It was a pleasure to have her stay here with us. After more than two weeks staying here I realised really quick that my first workaway experience couldn't be much better than this. I was amazed by the countryside an its opportunities for sports like hiking and climbing. I also have to say that her son Warren and his unique personality which makes him super funny and sympathetic, makes the time even more enjoyable. If you do get the chance to host Philipp you won't be disappointed. He is a very nice friendly guy that we had the pleasure of working with for over three weeks. All the jobs we gave him he worked well through them all. He did lots of weeding in the garden, he painted for us, cut lots of grass for our horses. Made a great job of sorting out our… read more wood pile too. Highly recommended and we would be more than happy to have come back to us any time in the future. I… read more already miss this place... so many good memories! Thanks again Julie! We had a great time with Julie being here. She was very helpful with every task I asked of her. She was a early riser and great conversationist. Super company. Although she is young she's very mature for her age. During her stay she helped with a large variety of jobs for us. Julie painted the wood decking, cleaned around the house inside and… read more out and did lots of gardening we also left her to house sit one weekend. She looked after all the animals and we had total trust in her. A really lovely lady. Welcome back any time. Jo stayed with us for two weeks and from the moment he arrived got stuck in so to speak! He was happy to help with anything asked of him. He made a super job of the garden. No weeds went unturned. He helped with painting and made a great impression on us both. He is a lovely guy that's welcome again anytime. Staying with Julie and warren for the two weeks I did was genuinely one of the best experiences of my life to date. Julie and warren are very caring and hospitable people, they make you feel part of the family from the minute you walk in the door. The work was always fair, Julie made sure I was working in the shade as much as possible as my… read more Scottish skin isn't built for the tempeture of Andalusia! I was weeding, painting, cutting bamboo and generally helping with anything that needed to be done. The whole time working you feel you are working with rather than for Julie. Both Julie and warren are great for conversation, Julie has a vast knowledge of gardening and growing fruit and herbs etc as well as offering me advice with my aspirations in life which I have taken onboard and warren is a genius with technology! He told me about things I didn't even know existed and some of them I'm still struggling to fathom. He is definitely going to go on to do great things with it! The food was always fantastic, Julie is an excellent cook! I tried many new dishes during my time. The local area is also beautiful, lots of things to see and do, Julie was also happy to drop me off in places after work and on the weekend which was great! The only thing I would change is my length of stay, I wish I was still there now! I will 100% return to Julie and warrens either as a work away or possibly a guest! Rakul is an amazing young lady that we had the pleasure of hosting for 5 weeks here. From the moment she arrived we just clicked together. She was helpful, kind,thoughtful and has a vast quest for knowledge. The time just flew whilst she volunteered here. During her stay she painted, weeded planted, cleaned and cooked and on a couple of… read more occasions did a meet and great with our guests here. She is also very good with animals. On numerous occasions she helped us far more than asked of her. We were very sad to say good bye to her. Welcome here again any time. Rakul's rose. Thank you for five amazing weeks! It was my pleasure and privilege to have met and work with you in your beautiful garden. I learnt alot from you about gardening - compost, propagation, pruning, planting, etc., etc., etc.,!! and life wisdom! And cooking! I volunteered 2 weeks in this beautiful hidden part of Spain! Only 30 minutes away from Ronda, amazing landscape, cute village with everything you might need (bars, library), surrounded by mountain where you can follow marked hiking routes and enjoy the views! My job was varied - pulling weeds, cutting grass, a bit of digging, cleaning, sharing… read more ideas about Facebook marketing… Not only the accommodation is perfect, Julie really appreciates your help, cooks delicious meals and is happy to share her recipes. I also had the chance to learn about gardening and fruit trees. Warren even showed me that it is possible to watch 3D on your phone. Thank you so much for everything Julie and Warren! I stayed with Warren and Julie for two weeks and had a really enjoyable time. The accommodation is excellent and I felt privileged to be staying in such a beautiful and well kept house. The food was delicious and I always felt well fed, which is important when you are doing physical work. There is plenty of work to do, be it gardening, painting or… read more general maintenance and with much of the work being done outside it really is a great feeling to be working in the sunshine. Julie and Warren are great company and are very easy to get along with and when staying with them it is like you are part of their family for the time you are there. Julie is a very positive person, works incredibly hard and it is amazing what both her and Warren have achieved over the years. They also have Ellie who is a lovely rescue dog with a great personality, she will eat anything and is always happy to see you! We have just had the pleasure of hosting Lewis for 2 weeks. During his stay with us we took advantage of his talent of painting. Lewis did a heck of a lot of painting and wood staining for us here non stop! Also he was able to advise us on a few tips regarding his computer skills on advertising on our business. He even put in extra hours to… read more make sure it was all finished. Always up on time and ready to work, he's not a slacker! He is a lovely guy with a good sence of humour and a super personality. We all got on really well here. We would be more than to welcome here again and if you do get the chance to have him spend time at yours don't miss the opportunity! Sonja stayed with us for 2 weeks and it was a pleasure to have her here. She is an extraordinarily hardworking person. We could ask her to do anything and she would find the way to do it! Really good to share our time with her. One of the jobs I asked her to do was a little tedious and boring but she'd didn't grumble at all and just got on with… read more it. Sonja was also very helpful in the kitchen. 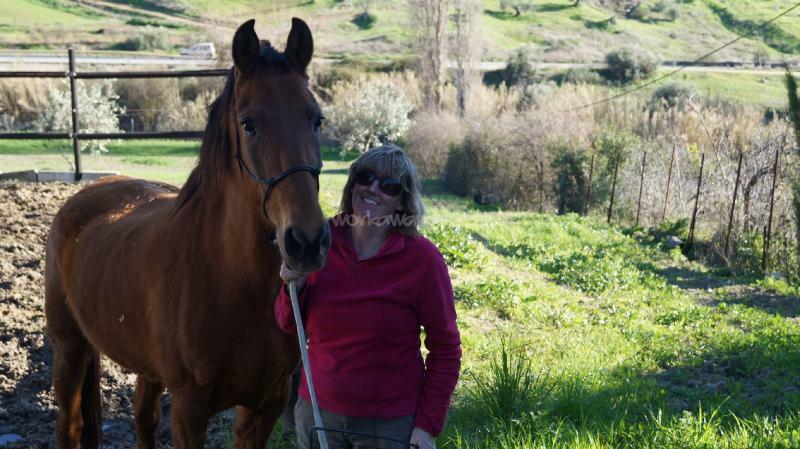 She was especially good with my horses.She has lots of experience of being around animals and is very good with them. we recommend her highly and welcome her back again here anytinme again in the future. 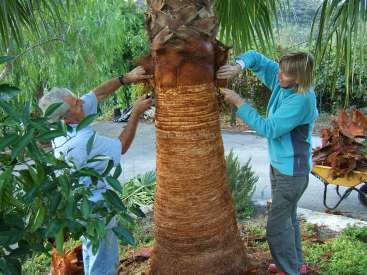 I did stay with Julie and Warren in Algodonales for two weeks, working hard with branches. At some point I started feel bit like Edward Scissorhands, even dreaming the cutting sound. Eventually I had opportunity to do some weeding too. The accommodation was great even if I did sleep almost in every bed of the house (and there is a lot of beds in… read more the house), the cooking skills of Julie are amazing and Ellie the dog was such a icebreaker, full of happiness. During days-off there was lot of bars in the town to have tapas and the walking routes around the hills are pretty beautiful. Horses were on winter break from riding so all I did with them was feeding and grooming, finding the best spots for both of them. Thank you Julie and Warren for the warmth you showed towards me. What can we say.....You are a lucky person if Eileen knocks on your door. She will fill any room with joy, smiles and great conversation. we found her to be very mature for her age. She understood responsability and respect and took advantage of her time with us. She communicated very well with other guests. She worked very hard in the garden… read more and helped me clean on a rainy day during her stay here. Eilleen always worked with enthusiasm. We miss her and would love to have her come back again another time. Hand on heart I would highly recommend her. Staying with Julie and Warren for two weeks was amazing. I really couldn't ask for a better first workaway experience. They were very welcoming and it felt like staying with good friends, family even. Additionally they have the lovliest dog ever! When it comes to the help, Julie is patient and explains everything very well. I really enjoyed my… read more time there and would love to keep in touch. Already miss listening to Phil Collins while tidying and watching Broadchurch with you guys. Thank you so much! We loved having Stein stay here with us! She is a wonderful person - warm and very friendly and a great addition to any team. She was an enormous help in the kitchen and the garden too. Very hard working. Whilst staying she transformed a honeysuckle hedge that was completely over grown into its new form which we are admiring now. Always up on… read more time and ready to start. She stayed here with us for 2 weeks and we would recommend her to any host! Wishing you good luck Stein with your travels. It was a wonderfull experience, staying with Julie and Warren. I really liked working in the garden and helping out in the kitchen. I helped out with cooking, cleaning dishes, weeding, trimming plants, moving firewood, cutting grass, etc. Julie gives really good directions, so it's not too difficult to understand the different jobs. They have a… read more beautiful property that requires a lot of maintenance, so Workaway is perfect here and Julie is a very good host! And their dog, Ellie, is the sweetest, nicest dog you'll ever meet! Thank you so much Julie, for making me feel like part of the family! I loved my stay with you! Thanks Julie and Warren, you made my stay a wonderful one! I felt like part of your family, welcomed with open arms! We had some good chats and it felt like we could talk about nearly everything, which is so good on a travel like this! Work was various and never to much, sometimes with a lovely english teatime- break! Julie gives very exact… read more introduction so that you can not fail (ok, let's say nearly can not;-)) and she helps with everything you need. Warren is like a little brother, always doing his own stuff but ready for a little chat if you like. He told me a lot of technical stuff I will never understand, it's amazing! We hosted Nina for two weeks. Whilst staying here Nina did a super job with the wedding of the garden and always offered to help in the kitchen. Also she's was very good around our horses. Always a smile and a lot of energy , that's Nina. We found her to be great company and a super helper. We really enjoyed having her here with us and I would… read more welcome here back any time in the future. Good luck with your travels. It gives me pleasure to give a five star review for Treena. I left Treena and her daughter to look after our villa and animals while we on our holidays for two weeks. While we were away Treena and Maddie feed and brushed the horses,feed the dog and cat,watered all my plants and kept the place tidy. When we returned we were really pleased that… read more our home had been in good hands. Hand on heart we can't recommend them enough! If Treena contacts you we are very happy to recommend her. recommended Where to start writing about Alison.For sure we are sad she has gone after nearly 3 weeks at our place. She was a hard and a self responsible worker. Working with Alison was harmonic we all had fun together. She painted the decking, moved heavy bales help us to prepare before left for our holidays and lots of gardeningI highly… read more recommend her to any host. Good luck Alison and thank's a lot, Julie and Warren. We just hosted Madi for a week and really enjoyed her company very much. I really liked that she just wanted to "get stuck in" and straight away she did just that! She was very helpful with all the jobs we needed help with. Madi was kind, considerate and very organised too. Good luck with your travels. Sarah was a really great volunteer! We take great pleasure in giving her this review. She is hard working, smart, adaptable, dedicated and fun, Her enthusiasm motivated me. She has lots of knowledge on a range of very interesting subjects and we all learned alot from her. She helped in the garden and made a super job of painting the decking. The… read more result was very impressive. Now they are gleaming! We had many laughs together and really enjoyed her staying here. I will never forget our full moon ride out together. Thank you Sarah you were brilliant and we hope you return in one day again in the future. I have just spent 10 days staying with Julie and Warren on my first ever Workaway and wish it could have been longer! I was made to feel welcome and a part of their family from the moment I arrived and my time spent working (and playing!) in Algodonales flew by. 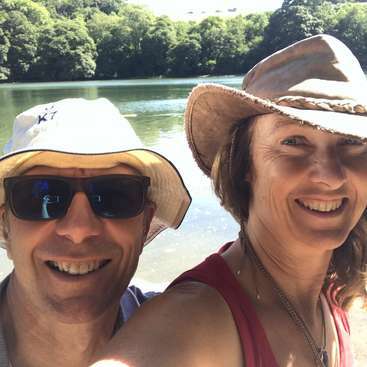 After a spectacular coach journey from Malaga, I was greeted by Warren and… read more tail-wagging Ellie at the gate and then, after a cup of tea with Julie, she showed me around their lovely home and where I would be staying - a spacious room with comfy bed plus my own bathroom. I mostly worked in the gardens and orchards, plus some painting of the decking around the pool and help in the house (including the morning fruit peel lobbing from the balcony!). Julie was always careful to explain how to go about things and supplied everything that was needed for each job, including a cool drink halfway through the morning : ) and she planned things so I wouldn't have to work out in the full, midday sun. After the mornings work, it was time for lunch and a relaxing afternoon, a siesta or a dip in the pool, and Julie is a mine of information and knows all the best local places for tapas and sight-seeing if you feel like doing some exploring. She organised a walk in the mountains (with very sprightly Kerry! ), and what turned out to be a magical horse ride in the moonlight, as well as giving me a lift into Ronda to see the lovely old town and gorgeous gorge! If you love nature and the great outdoors, this is the place to be! I'm missing all the delicious, fresh fruit, picked straight from the trees, the clear, blue skies and fresh mountain air and the warm evening chats sitting out on the balcony with the mountains in the background. Thank you, Julie and Warren, for your kindness and good humour and for making this working holiday so relaxed and enjoyable. I'll stay in touch and hope to see you again one day! We were lucky enough to have Guylaine staying with us for two weeks and got to know her very well. She was a great person to work with - motivated, helpful, independent, but also great working in a team. She had a great rapore with the guests. Guylaine was a great asset to our home and has ended up being someone we will truly miss around… read more here. She worked really well in the garden. Putting in 100% every day. We would welcome her back any time. Good luck with travels. guylaine. My first TRUE WorkAway experience. thank you so much for the opportunity, to reconnect with 100% english family life, the many little extra things you put in, to make the stay comfortable (the WA-room and bathroom excellent!) and the sharing of everydays ups and down, of living in a 2015 Finca in Andalucia. It was indeed… read more an added bonus to meet and work alongside family friend Les, who made the first weeks stay even more family-like and sweet, and although my back still hurts :-) , from my self chosen hard-work-WA-stay, Im gratefull for the many sweaty hours of weeding in the fruitorchard as well - a beautiful place to philosophise of the true value of life and human relations. I left a bottle of Cava in your fridge, and hope you will take the time Julie, to open it one night, and sit on the porch and enjoy the labour of the many years of hard work you put in, and the effort you make to give the WA'ers a really nice stay - because you deserve it so much! I will be with you in spirit, and you have a bed in Copenhagen any time. Much love to you miss Julie, sweet gentle Warren, lovely Les and little MIss Ellie. Namasté. We recommend Suzanne she stayed with us for just over 2 weeks. She was always up early and ready to start at 8am. She was very easy going, hard working & keen to help out. She did a splendid job of weeding the veg gardens & did some much needed spring clearing of the banks. She made a nice job of finishing off the edging of the stone line along… read more the lawn. Thank you. An intresting lady to share mealtime conversations with. Good luck with your travels & future plans. Suzanne,we hope all goes well for you. Phil and Laura stayed and helped for 2 weeks. During the time with us they help with a number of tasks.Rangeing from painting to weeding. They were both happy to help us here. Laura especially likes cooking and is very tidy and organised in the kitchen. Both were happy to work and learn new skills. I wish you both well and enjoy your future… read more travels together. I was happy to stay for two weeks with Julie and Warren. It was my first time doing workaway and I was so lucky to get my first experience in their beautiful villa. Julie is a perfect host. She gives guidelines, is helpful to teach the best methods to do the work and makes clear her expectations. She is a very good cook and open to share her tips.… read more Also we had two amazing walks in beautiful valleys and mountains. I really enjoyed every single day and wish that I could stay longer. I wish all the best to both of you and hope that someday we will meet again! meren stayed with us for two weeks. We found her to be very positive and thoughtful during the whole time of her stay with us.She was a willing helper around the kitchen. Meren looked after the horses, did some painting,gardening,cleaning and was generally helpful. Also she has very useful computer skills.Along with my son she spent a lot of time… read more working on our web site together. Good luck with your future travels Meren. Wishing you a lovely time when your mum comes over in April. We would like to welcome you back here any time. We highly recommended Manuela as a volunteer/helper as we have the pleasure of her stay with us in December 2014. Always willing and helpful, she was a pleasure to have around. She did a variety of jobs, from, Mucking out the stables,weeding, cleaning, and everything else that was asked of her. She is a very smart young lady, Really great with… read more our animals, our dog Ellie really loved her!She is bright and fun. Julie and Warren were wonderful hosts. I enjoyed staying with them for two weeks. Julie would always give me work that's away from the direct sun, which was really thoughtful. I liked her personality - she was honest and direct. Her son Warren was also lovely. I highly recommend them as hosts. It gives me great pleasure to write the first reference for Alan. Alan has stayed with us for two weeks at our place and we are very thankful for all the great work he achieved! We were very lucky to host such a good person. Whilst he has been here he has done some painting, pool care, brushed and cared for our horses (which by the way was a… read more first for him) and has transformed our garden. He is a meticulous Gardner. No weed was left un pulled! the results is just great. Alan is very calm and gentle, nice company and we particularly enjoyed talking about our love of motor cycling together.On a couple of occasions alan took my 17 year old son out for a spin. Thanks a lot for everything Alan! all the best for your travels! Highly recommended! Welcome back anytime. We have just returned from our holidays away of a month to find that Suzi has looked after our animals and house guests wonderfully. We had no worries at all of her capabilities as we had received some feed back from our guests to say that they were made to feel really welcome and were looked after here whilst we were away. If you get the… read more opportunity to host Suzi do not hesitate! She is the nicest and most helpful volunteer you could wish for. She takes great pride in her work and what is most important for me, She is a genuine animal lover. My dog, cat and horses were all in good hands. Suzi shows initiative and sees where work is needed. She is a quiet hard worker showing great attention to detail. great company and a super cook and cleaner and gardener! We would welcome her back here at any time! Wishing you good luck with your travels Suzi. Hi Julie,thank you for your prompt feedback. You forgot to add we also cared for 2 horses/stables/paddock,a dog,cat and swimming pool too! We had fun,it was hard hot work, continually for five full weeks,but a great experience/learning curve for us both. Glad you enjoyed your roadtrip as we recommence ours again. Best of luck for the future.… read more David. David and Suzi looked after our accommodation business for a month while we were in England. Despite the Andalusian heat of August none of the plants died and everything was looked after perfectly. They are both proficient workers and had no problem with the weedwacker and other tools. They managed to get on very well with our cleaner even though… read more Spanish was fairly limited. We have received feed back from our guests who have stayed whilst we were away and it has been very good. They were both very pleasant, good workers, great company,and likeable personalities, highly recommendable volunteers. A very big thank you to Raphaëlle Up for everything and quickly got stuck in. Excellent help around the kitchen. She worked really hard in the garden also. Great with and confident on and around the horses, would have gladly had her stay for longer. We found her to be a mature young lady. We have no hesitation in recommending Rapha I would… read more welcome the year again at any time with an open heart. First workaway and I couldn't dream a better place ! I spend about 12 days with Julie, Warren and all the animals in the little town of Algodonales. I really enjoy my time here, Working during the morning in the garden or with the horses and then all the afternoon to rest, visit the village, talk with Julie, spend time with the little Ellie,… read more Claudy and Abu (the 2 wonderful horses). Julie is a great personn, She makes you feel like at home, Sometimes I almost feel like if I was her daugher and it was really nice. I absolutely recommend this place, definitively a great experience ! I spent a fabulous three weeks with Julie and Warren in April 2014. They were the perfect hosts. Welcoming and warm. Generous and jovial. Warren has a sharp wit and Julie a sense of humour formed and fashioned amongst the fair folk of Derby. At the time of my stay, their trees were replete with grapefruits, oranges, and lemons. Exhalation of the… read more earth. Said lemons were lovingly squeezed by Julie, and crafted into the most luscious lemon curd and divine lemon drizzle cake. Her (sub) lime cheesecakes may possibly even have surpassed those undertaken by my great, great granny Gourmand. They have a beautifully bearded dog of the Mevlevi Order, the exuberant Ellie, whose whirling antics captivated me on a twice daily basis. There are also two delightful horses, Abu and Andalusian Cloudy. I had the pleasure of escorting the tripartite Abu on two of his excursions into the enchanting countryside that surrounds the villa. I spent time preparing breakfasts for the genial guests, caring for my equine amigos, and did some light gardening in the gorgeous grounds, all of which were effortless and straightforward tasks. 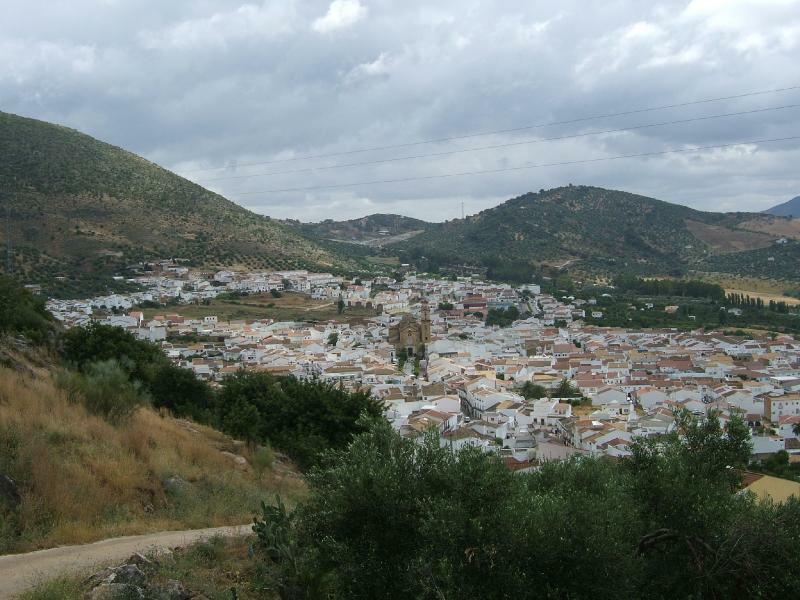 Algodonales lies alongside the stunning Sierra de Grazalema Natural Park, which is a biosphere reserve. If you love the outdoors and love nature, you'll love it here. I popped up the adjacent paragliding hill most evenings, to watch the happy, yet earthbound, humans soaring, swooping, and spiralling in the skies. You will find the real sorcerers of the skies, the Griffon, and occasional Egyptian, Vultures in the aforementioned natural park. Thank you Julie and Warren. Michael is a really pleasant person who we were lucky enough to spend 3 weeks with. He gets a 4 stars score on almost any personality trait such as likeableness, cheerfulness, good company, amusingness, good naturedness, intelligence, sense of humour. He scored very high on work related characteristics such as punctuality, hard-worker, enthusiasm,… read more cooperation, sensible independent action, common sense. During his stay with us he totally transformed our gardens,giving 100% in his work. Cant Recommend him enough. If you're lucky enough to have him want to come and stay to work with you, grab the chance. You certainly won't regret it! He will always welcome back here any time. Michael good luck with your future travels. Janet and Terry both stayed with us back in January here in Spain for 6 weeks. They were really great company and we all hit it off from the start. Whilst they stayed here they completed all the projects we asked of them and after a short time time here they became so much that just helpers they became our good friends also. They house sat… read more whilst i was away for a week in the UK and felt my animals and place were in really good hands. My son still raves to visitors about the great job they made of painting and transforming his bedroom! So if you get the chance to have these ladies stay with you take their offer, you will happy you did. Janet and terry, good luck with your travels. I stayed with Julie and Warren for two weeks. I would have loved to stay longer, but sadly I had to get into a more Spanish environment. These people really make you feel at home, I could finally get my much needed rest in the beautiful villa with even more stunning views. Also, Julie is a very good cook. Both Julie and Warren are very nice… read more people who would love to make some conversations. Julie is like a friend, but also someone you can look up to and learn from. Julie explains very well to you how you must do the gardening, and that way you learn so much! She also runs a guesthouse, with a lot of care, everything looks beautiful! I am happy I could help with that because now I know how to set a beautiful table for breakfast, for example. Irene stayed with us for just over 2 weeks sadly she had to more on as she needed to intensify her Spanish. It was a great experience and a pleasure to have her at home with us. She is very easy going and always willing to help. Irene made very big improvement to the garden. She painted a garden bench and made a… read more beautiful job of the lawns. Helped around the kitchen and house. She was very mature for her age.A totally trust worthy person. We also had interesting conversations since she is an intelligent and open minded person. We would host her any other time again and will highly recommended her to others. paul is very well educated and reliable. He stayed with my family for over a month and he has worked extremly hard Every job we asked of him he applied his self seriously and I'm very pleased to have taken him as a helper.Paul spent many hours helping my son with his homework. His gardening skills will be truely missed! I can highly recommend… read more him. Our house is always open for Paul to return anytime and we wish him all the best in his future travels! My week with Julie and Warren was my first workaway experience, and I don't regret it! Julie makes you feel welcome right from the start, she's very friendly and nice; When it comes to work, she's patient and takes time to explain what has to be done, and how : it's nice, thus easy, to learn from her. In addition, the house is very pleasant, the… read more surroundings are beautiful...And Julie is a great cook too! ;) To sum up, I had a great time, I really recommend this host! Maud spent a week here in June She is sociable and easy to have around. Maud is trustworthy and can be left to carry out jobs without supervision.She tackled our weed problem, mucked out the stables,Painted the balcony and general helping in the kitchen. We had a great experience hosting Rebekka!She stayed with us for 3 weeks. Exactly the kind of helper a host hopes for- friendly, enthusiastic, multi-skilled, and willing to take the initiative when something needs to be done. She gardened and weeded,painted, helped my son with his homework,gave me advice with my computer.She was very good… read more company and will be missed. We would welcome her back at any time. 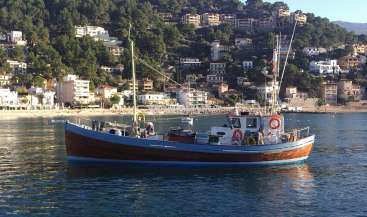 Crew wanted to help aboard 57 ft charter boat in Mallorca, strong boat experience necessary!